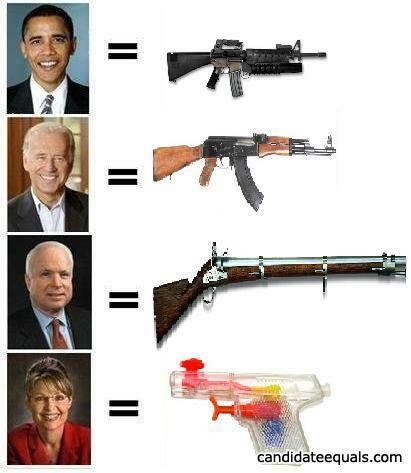 Those Barry and Biden assholes wouldn't know how to use a weapon is their lives depended on it. You forget McCain actually served his country. When did Barry even have a real job? What do you call a black person who puts out fires?